From R&R The Rev. 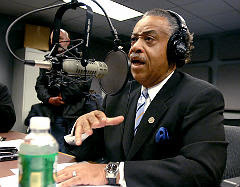 Al Sharpton has let a longtime friend and advocate in the U.S. Congress know that legislation he's backing will hurt minority broadcasters via his daily Radio One talk show. Sharpton on Monday began encouraging his audience to let Rep. John Conyers (D-Mich.), chairman of the House Judiciary Committee, know that the pending Performance Rights Act, a bill Conyers has fought hard for decades and which recently has picked up significant congressional support, would have a "devastating" impact on mom-and-pop stations, including minority-owned and operated outlets, according to David Honig, the executive director of the Minority Media and Telecommunications Council. The pending House legislation, H.R. 848, and its companion bill in the Senate, S.379, would require broadcasters to pay artists and performers a fee for broadcasting their recorded works. The smallest of broadcasters, those generating advertising revenues of $1.25 million or less, would pay only $5,000 a year. But Conyers, who has recently received a barrage of letters from Jesse Jackson's Rainbow-Push Coalition, the Leadership Conference on Civil Rights and MMTC and has held several meetings with Honig and others representing minority broadcasters, is now expected to offer an amendment to the bill that would cut the rate to only $500 a year. The bill is tentatively set for markup in the House on Wednesday (May 13). All of them have asked Conyers to conduct a study on the impact the bill will have on minority broadcasters, including, perhaps, requesting a study by the Government Accountability Office. While Conyers hasn't promised anything, acknowledges Honig, they have left their meetings believing that more research on the subject would be conducted. $500 a year seems like a small amount for the smallest of broadcasters, but I believe the point here is this: larger minority broadcasters would have to pay more and once you get someeting like this to become law, you'll never get rid of it. ...and who knows how much a peformance royalty rate will increase in the future which may mean bankruptcy for many Black and Hispanic broadcasters. DON'T BE FOOLED ! John Conyers' Performance Bill is excellent and looks out for songwriters and record labels who up until now have not gotten payed for radio airplay. The main product for music formatted radio stations is....guess what....the music !!! Conyers' bill will allow smaller radio stations (earning 1,250,000 or less per year) to pay a flat $5,000 per year for the rights to play music. ANY station that is unwilling to pay what comes to $96 per week...for their businesses primary product (the music) needs to re-evaluate/re-align their expenses or go off the air. And if the fee is reduced to $500 per year ($9 per week ! )....how can any station owner complain about that ? John Conyers' Performance Bill is a good bill. p.s. There are a lot more broke songwriters than radio station owners ! For station owners who don't want to pay...just be honest and say you don't want to pay. That you want your product free....like it has been. But to twist the facts to insinuate that Mr. Conyers is out to 'silence Black Radio' is an insult to the intelligence of We The People. 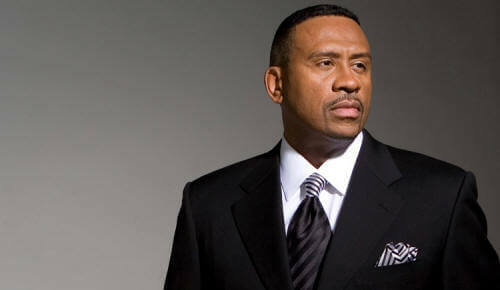 p.s.Although he has done some good things over the years, Rev. Al Sharpton thinks we don't remember how he was trying to sabotage Barack Obama throughout the entire campaign. So for Black Radio to now claim that they are the reason Barack Obama won as President is not only an incredible lie but, again...insulting to our intelligence. I'm more worried about people owning companies calling themselfs "Black Radio.!" than this bill.